Groupe Bluegrass US formé en 1967 et composé de Lonnie Peerce, Dan Crary, Tony Rice, Curtis Burch, Courtney Johnson, Sam Bush et Ebo Walker. Bluegrass Alliance s'est dissous en 1978 pour se reformer en 1998. 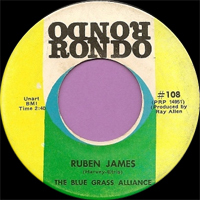 Simply listing some of the players who have passed through the Bluegrass Alliance in its various incarnations provides ample evidence of how important this outfit was in the development of bluegrass. Top-flight pickers who have worked in the Bluegrass Alliance include multi-instrumentalist Chuck Nation, mandolinist Sam Bush, flatpicking whiz Dan Crary, rambunctious fiddler Hoot Hester, banjoists Buddy Spurlock and Courtney Johnson, progressive bluegrass guitarist and bandleader Tony Rice, and even Vince Gill, a bluegrass flatpicker and frontman who eventually went on to carve out a career in country & western music. The band was originally formed by fiddler Lonnie Peerce in the late '60s and within a few years was already busy with gigs at fairs, clubs, festivals, and colleges. The group appeared on the Grand Ole Opry at least a dozen times over the next decade and cut three albums. 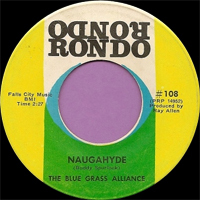 One of the first groups to be stuck with the gimmicky label of "new grass," the band went on hiatus in the late '70s that, unfortunately for lovers of grass new or blue lasted much longer than anyone intended it to. Peerce had to retire from performing for health reasons and many of the band's former members had too many projects going on their own to worry about a re-formation. 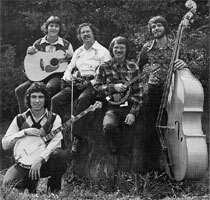 For example, four former members, including mandolinist Bush, formed the New Grass Revival, indicating their own fondness for this genre label. Instead, reviving the band became the goal of a young a banjoist named Barry Palmer. Palmer was a fanatic of the original version and had befriended Peerce and his wife when the band was riding high in popularity. He was born in early 1960 in Cleveland, GA, and from an early age had two sets of musical activities going in both bluegrass and a much different style of music, jazz. His strong interest in old-time country and bluegrass music came from his family. Both his grandmother and father had played the vintage two-finger style of banjo. Palmer first started picking banjo at the age of 14, but also learned to play the bass trombone in the high school jazz band, as well as going on to play that instrument professionally with Stan Kenton's band. Already the genre barriers begin melting, as Kenton is one of few jazz artists to have experimented with country & western music, which can at least be considered a kissin' cousin of bluegrass. Palmer went on playing jazz for the next 18 years. During the last part of Peerce's life — in which he was building fiddles, judging fiddle contests, and coming up with innovative sets of guidelines and rules for these events — Palmer and he discussed the possibility of a new Bluegrass Alliance which would revive the band's musical repertoire. Because of the young man's obviously sincere dedication, it was decided by Peerce and his wife that Palmer would be allowed to create a new version of the band. It finally came together in October of 1998, almost exactly 30 years after the group was originally formed. The so-called "re-allied" group features Palmer, bassist La Rita Buchanan, frontman and guitarist Johnny Martin, mandolinist Tom Hicks, and one member of the original Bluegrass Alliance group: fiddler, mandolinist, and guitarist Chuck Nation. Another former member, Hoot Hester, also plays with the group on the new record, ironically the first time this player actually got to record with the Bluegrass Alliance, since his contributions in the first stage of the group were never documented on record. In the manner of many an efficient combo, the new version of the band also has a list of alternative players on tap in case of date or other conflicts over individual gigs. Musicians such as fiddlers Randall Collins or David Blackmon and guitarist Scott Morgan are all so-called substitute members of this alliance.